Beaded baubles have been really popular for a few years. 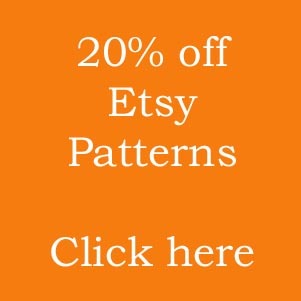 There are a huge range of patterns available, ranging from simple netting that drapes over a bauble, to more complex bands of beadwork featuring festive images to go around baubles. For a lot of beaders it has become traditional to give beaded baubles as gifts to special friends or relatives, or to create a new bauble every year. These beautiful beaded baubles should become family heirlooms – the traditional decoration that just has to be on the Christmas tree or hanging in the home somewhere each year! The festive season wouldn’t be complete without it. 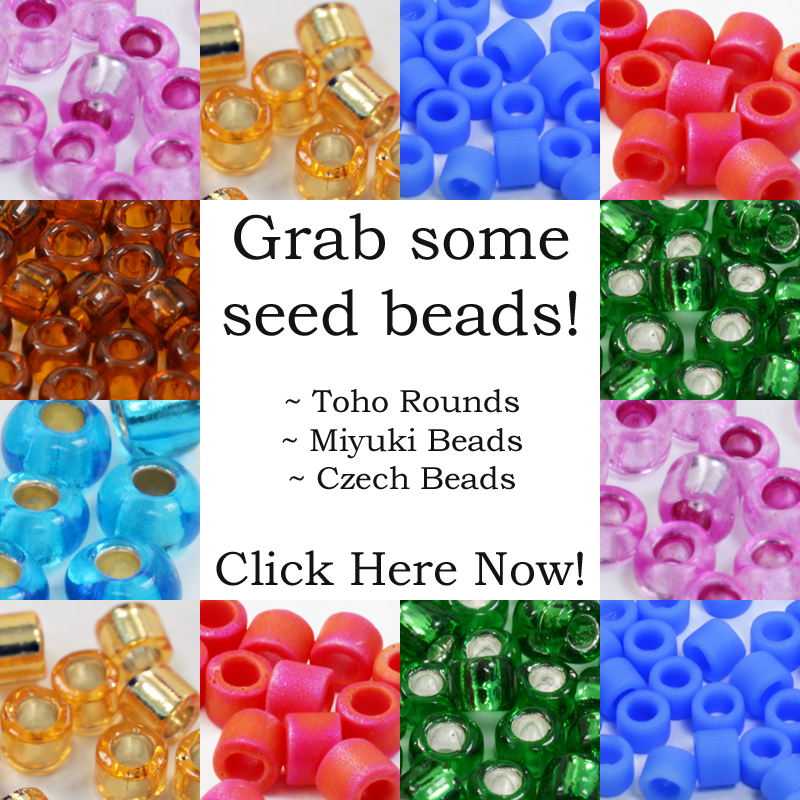 Like any other beading project, beaded baubles can take some time to make, so if you’re thinking about starting your own tradition, or adding to your existing collection, remember to start early! I’ve gathered together a few ideas here to get you started. If you want something a bit different for your festive decorations, then take a look at the ideas in this blog. If you aren’t terribly experienced and you want an easy project – or even if you are experienced and just fancy some gentle relaxation – here are a couple of beaded baubles that use just basic techniques. The herringbone. This technique is very relaxing and also extremely simple. This pattern was made around a 5″ bauble, so the beading took a while to do, but the good news is, it can be scaled to fit any size of bauble. So, if you’re in a bit of a hurry, you can easily go for a smaller model! 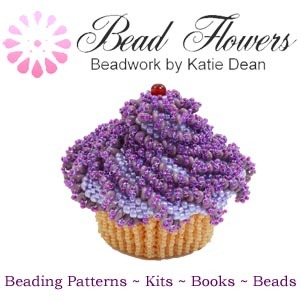 The project is also made with size 11 seed beads – any brand will work, so you shouldn’t have to invest a lot of money in a whole new set of beads to make this one! You can find the tutorial here. 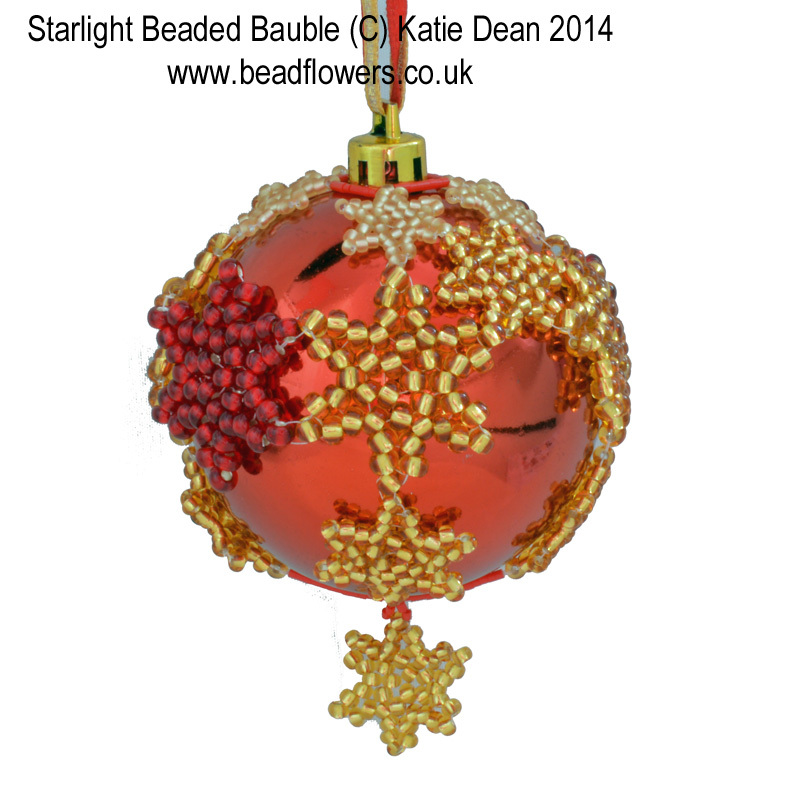 If Peyote stitch is more your thing, then the Starlight Bauble is rather faster to make. 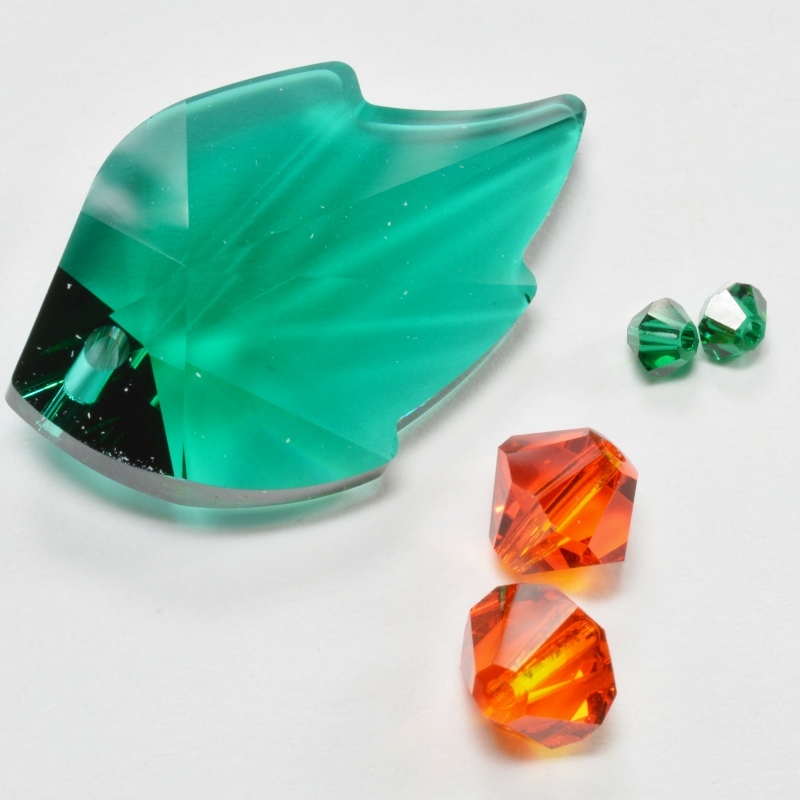 You will simply make a series of Peyote stitch stars, then join them together to fit around the bauble. This is a brilliant project for beginners as you will get to practise the stars using larger beads, then scale down to the smaller sizes later on. You can make this one in any colouring you like. Even go to town and mix up lots of different bead colours! You can find the tutorial for this bauble here. If you have a little more time and feel like a bit more of a challenge, how about this s a few different techniques. 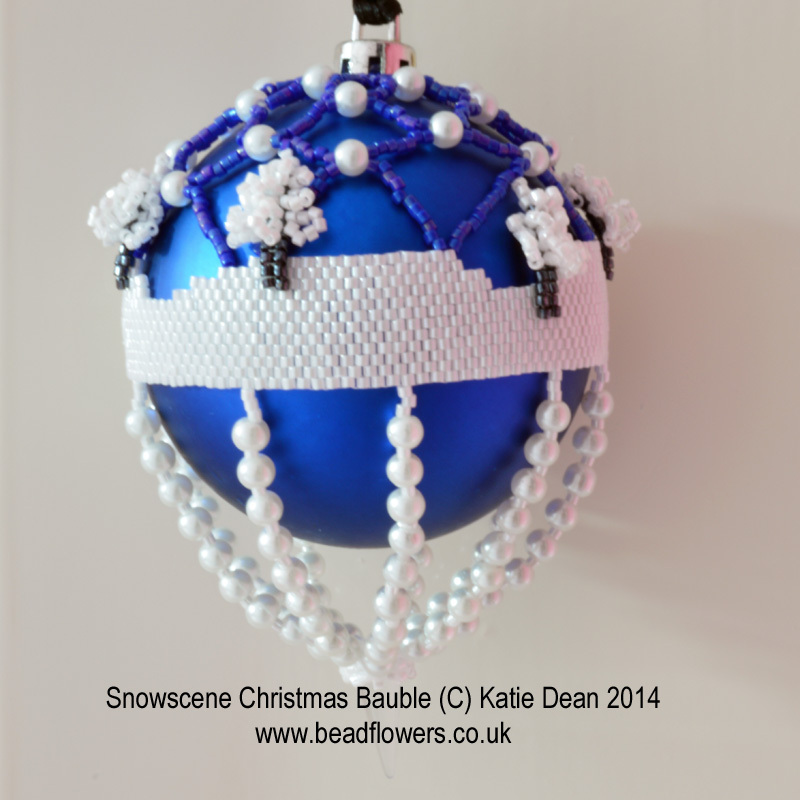 You will be using Peyote stitch to shape a band of snow around the centre of the bauble. A section of netting creates the snow falling over the top of the bauble and then strung beads dangle from the bottom, ending with a wintry icicle. 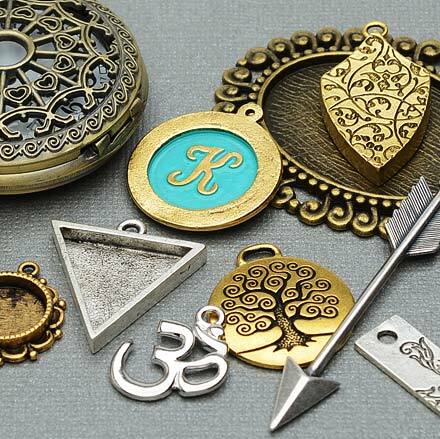 The finishing touch is provided by the dimensional trees that sit around the bauble. For these you will be using some more basic techniques. 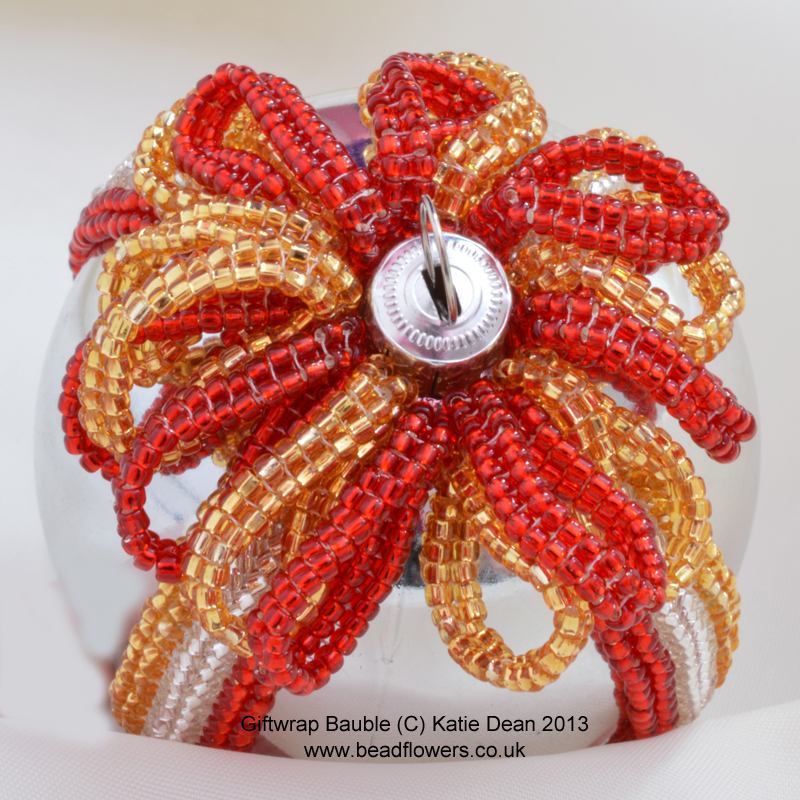 It just goes to show that not all beaded baubles have to be in traditional festive colours! If this takes your fancy, you can find the pattern here. 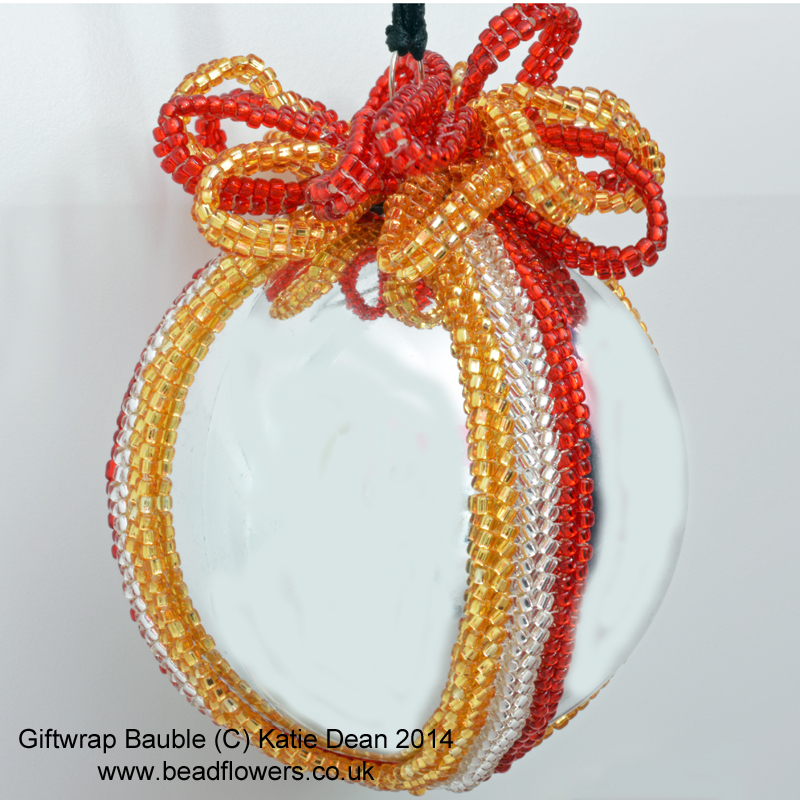 If we love making beaded baubles, why do they have to be just for Christmas? Well, they don’t! With more and more people decorating their hous es for other holidays throughout the year, or even just for parties, why not decorate them with baubles? 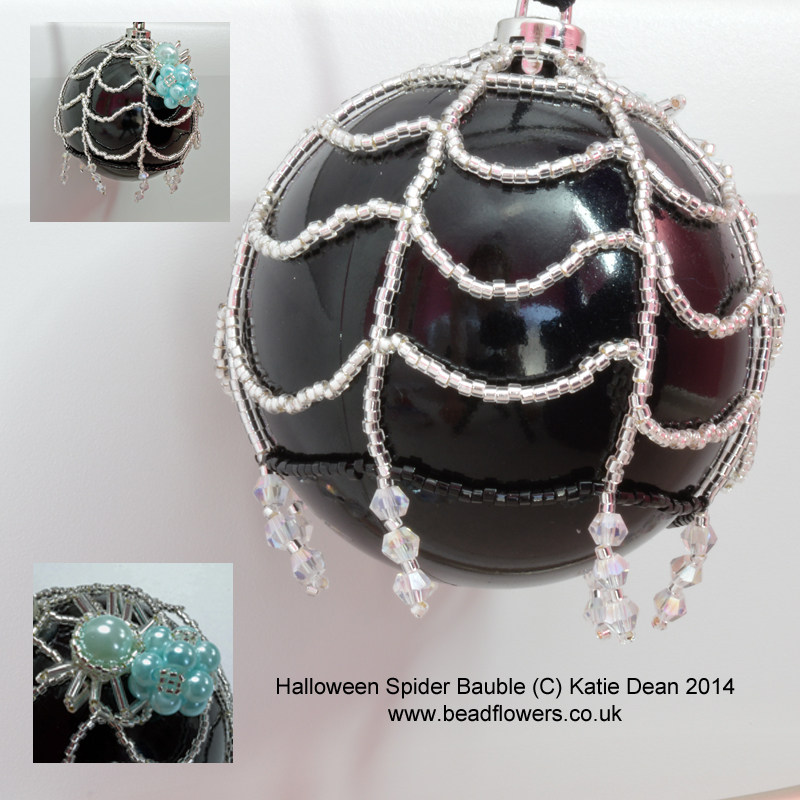 So, if you like to try something a bit different, how about a netting idea to make a spider’s web to cover a black bauble. Then, sat on top of its web, this cute little beaded spider can be made in any colour of your choice. This is a fairly simple project and will certainly make a great addition to your Halloween decorations, so if you want to give it a try, the tutorial can be found here.